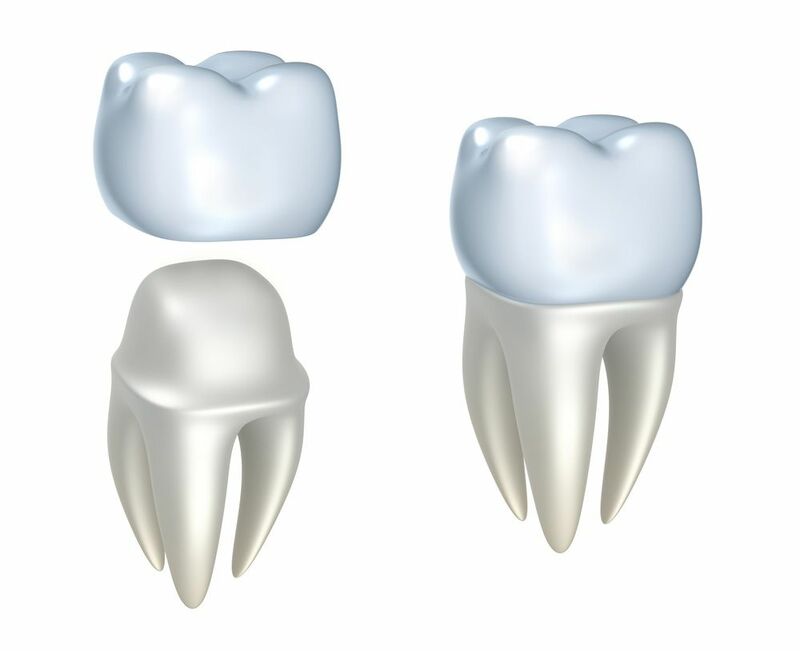 Crowns (also called dental caps): a vital part of the crowns and bridges family of restoration processes, covers the visible part of your tooth. They act as a new surface cemented onto your natural tooth root. They are used for both, restorative and cosmetic dentistry. 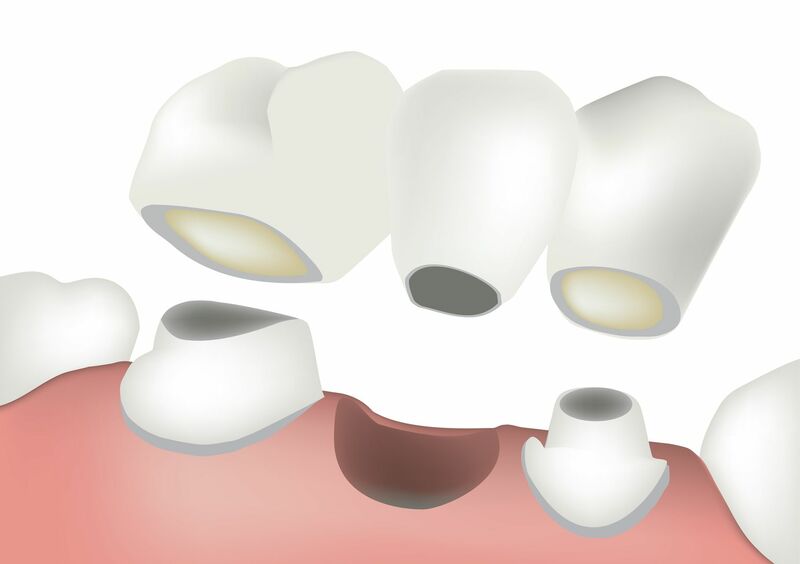 Restorative and cosmetic crowns are used to enhance the aesthetics of your discoloured or chipped tooth or a tooth that suffers extreme decay. The affected part of your tooth will be carved out, leaving only the roots of your tooth and the part, which the crown will be placed on. Crowns can be also used to replace missing teeth. With the assistance of a dental implant, taking the place and function of the tooth root, a dental cap can be placed on it, making it look and feel exactly like your natural tooth. 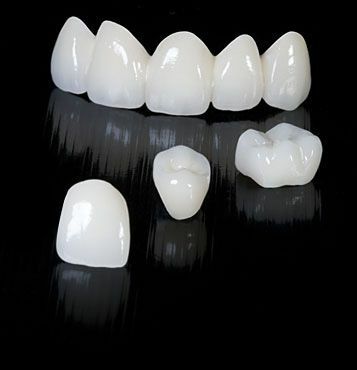 Implant supported crowns, as well as crowns in general, are strong, durable and function perfectly like your natural teeth, not to mention the aesthetic enhancement they provide to your smile. Bridges restore your smile by placing artificial teeth where natural teeth are missing. Using the surrounding teeth to hold the bridge in place, the bridge will cover the gap of the missing tooth as well as the two neighbouring teeth, leaving you with a full set of teeth and a beautiful, radiant smile. During a dental bridge procedure, our Scarborough dentist will re-contour and reshape the teeth on either side of the gap. Dental crowns will be made to fit these teeth, and a natural-looking prosthetic tooth will be custom-crafted in a lab to fill the gap. Once the dental bridge has been crafted, our dentist will cement it securely in between your healthy teeth, leaving you with the same support and appearance of all-natural teeth. After our exceptional dentist at assesses your case at Brimley South Dental and discusses all the restorative dental treatment options with you, he will recommend the most suitable plan for you medically and financially.